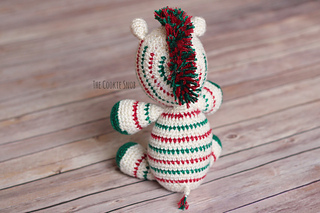 This pattern will show you how to make your very own Christmas zebra (or you can easily change the colors for a different look). 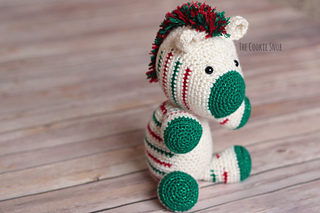 To make the zebra, you’ll need less than one skein each of worsted weight yarn in white, green, and red. 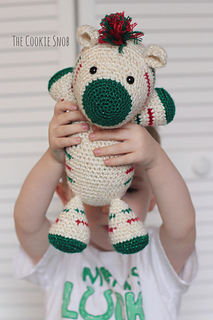 I made mine with a size F (3.75mm) crochet hook, but if you’re a loose crocheter, I recommend going down a size so that the stitches stay tight enough (I tend to crochet tighter than average). 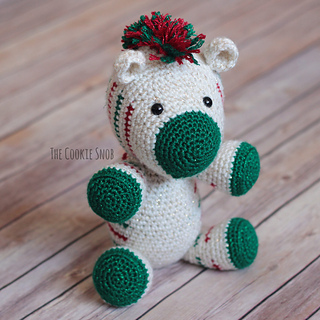 You’ll also need a tapestry needle, fiberfill stuffing, 10 mm safety eyes, and I would recommend using a stitch marker as well.